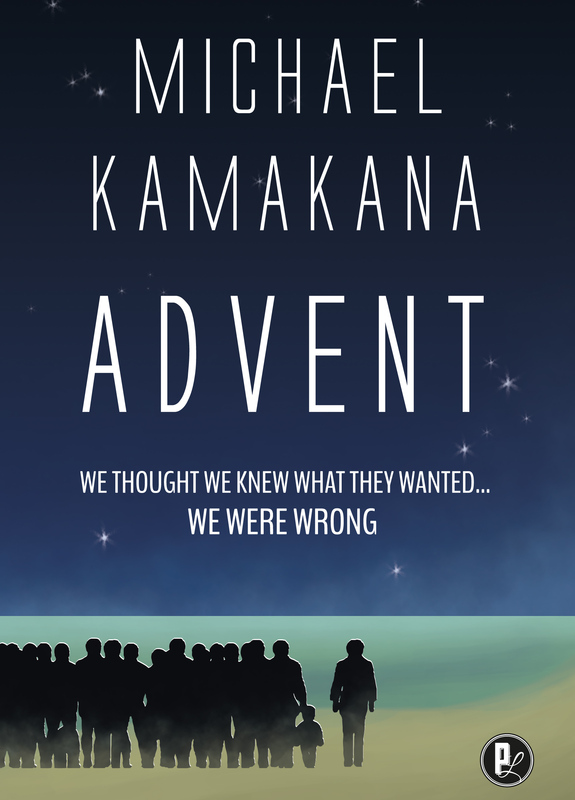 Order Advent by Michael Kamakana here. We were in no way insane. We told ourselves we would adjust and only those of weak mind would question the real. We thought this would be better. We were wrong. When the aliens came, everything we thought we knew was wrong. This is the motif that runs through Michael Kamakana’s refreshingly different take on alien invasion. It’s not War of the Worlds or even Childhood’s End. It’s a far more subtle and quiet takeover, which unfolds in the periphery of everyday lives. The rolling language repeats like waves on a shore, carrying the reader deeper and deeper, until we too, feel like we have been colonized. If Stanislaw Lem and James Joyce had a love child that was more brilliant and yet more readable than either, Michael Kamakana would be that child. This amazing debut novel is destined to become a science fiction classic. I love everything about this book. It’s only 150 pages or so, but it feels full and complete, and I walked away with a feeling of fulfillment and wonder. It shirks literary and science fiction conventions left and right, and yet finds ways to subvert your expectations and give you something far better. I fell in love with the characters and the unique style immediately, and though the beginning was a bit jarring due to this unique style, I got used to it quickly and found that the style drove the book as much as the strange plot structure and the deep character studies that compose the majority of this book. It may be sci-fi, but it dives far deeper into the psyches of its characters than most sci-fi on the market today. It feels much more like literary fiction in that respect, so if character-driven fiction is your thing, you’ll love Advent. This book is a thing of beauty, the kind of science fiction that leaves me breathless, that makes me rethink the genre itself, that feels boundary-breaking, that makes me want to race to the computer and write something strange and new and inspired. If your tastes in sci-fi or speculative fiction run a bit odd, if you find yourself more drawn to Dhalgren or Ubik than Dune or Foundation, then this is the book for you. Advent isn’t your typical alien invasion story. Rather, Kamakana uses this trope in order to frame a more complicated discourse on culture, history, colonialism, race, prejudice, socioeconomic status and more. Single-paragraph vignettes, written in hypnotic, prosaic language, cycle between character studies, discussion of the effect of alien invasion and conflict on a reserve following the invasion. Through these, Kamakana builds an unforgettably haunting world of surprising density in such few pages. I found it quite bleak at times, but packed with layers of meaning and filled with profound insights nonetheless. One to look out for! Advent is an alien invasion story with a twist; Kamakana’s themes vary from colonialism and race to socioeconomic statuses whilst the single-paragraph episodic chapters discuss the invasion and the characters’ experience. Haunting and poignant, Advent is more than your typical science fiction tale. The most realistic alien invasion story I’ve ever read, not only in the sense that it’s believable, but in the sense that it could be happening right now. It’s a personal and evocative comment on western culture and the human condition. I thought I knew how an alien invasion would go down… I was wrong.